We listen on several antennas so we may need an extra second to find you - calling with twice the call sign is appreciated. We are also online in both ON4KST chats (144/432 and microwave) for sked arrangements. If we do not answer the first time, please retry, sometimes the OP is under heavy traffic. If you want to arrange something in advance, e. g. for 24/47/76 GHz, you can contact us via e-mail - send the mail to "sked" at the domain name. Finally, the report is online. Hopefully, more reports from the last 2 years will follow. 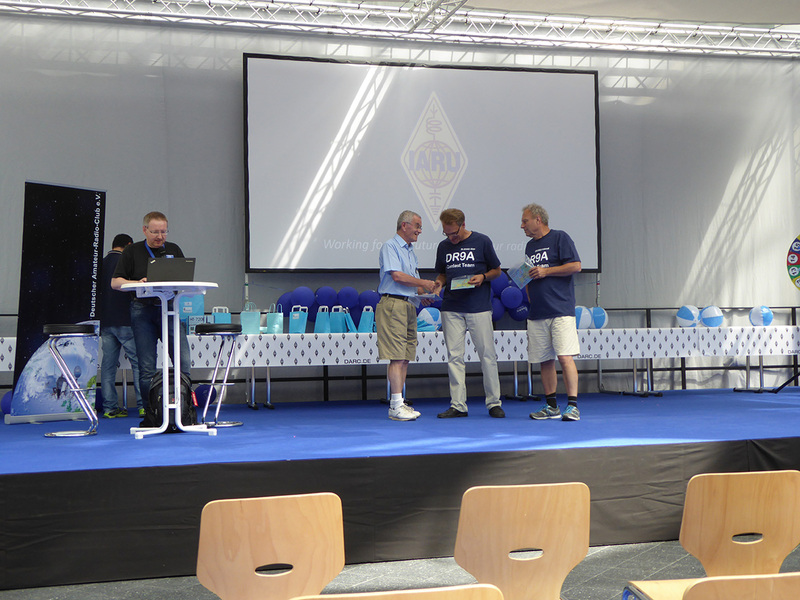 Again IARU awarded the winners of the IARU R1 VHF and UHF/MW contests. 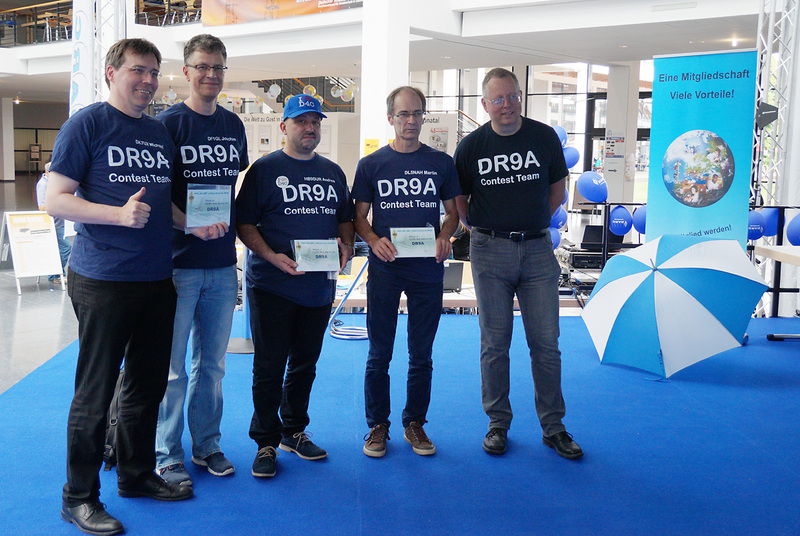 We received medals for winning the VHF Contest 2017 and the 432 and 2.3 GHz section of the UHF/MW Contest 2017. 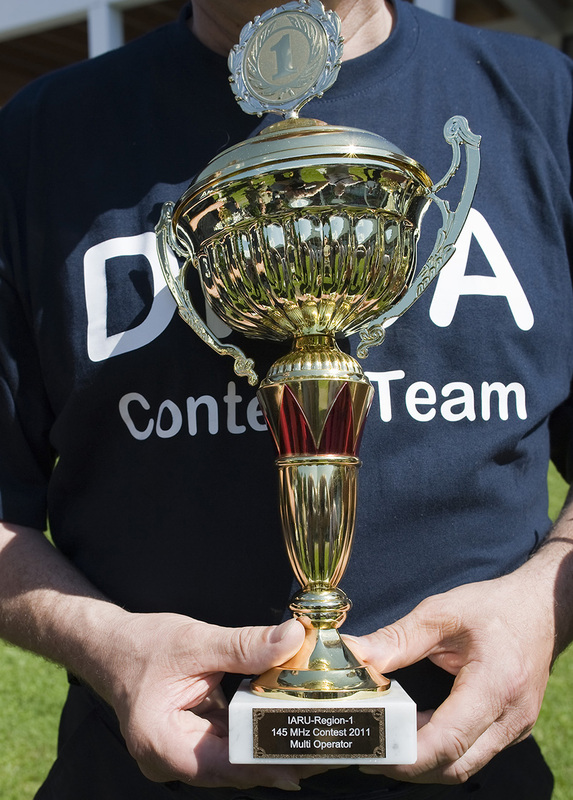 Unfortunately the ceremony got almost unnoticed, as the participants of the contests had not been invited properly. We found the information only by chance on the DARC homepage. A bit embarrassing for an organization like IARU. 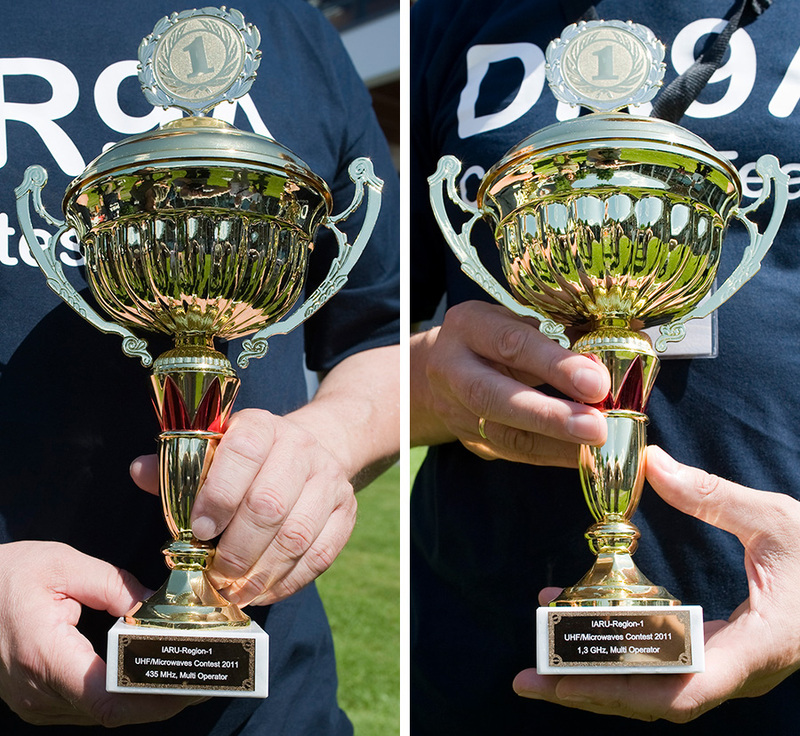 We were however very pleased with the ceremony ARI did celebrating the 2017 Marconi Memorial Contest 144 MHz that DR9A won in the multi operator section. It was a pleasure to meet the other contesters there, too. 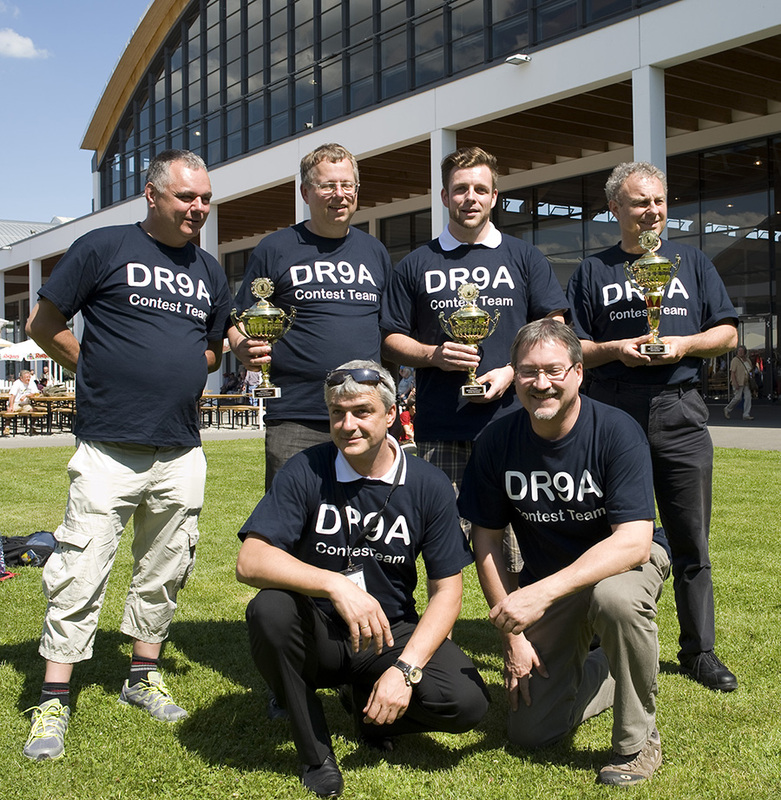 Our team was awarded the price for winning the 432, 1.2 GHz and 2.3 GHz section of the IARU R1 UHF/MW Contest 2016 during Hamradio in Friedrichshafen. 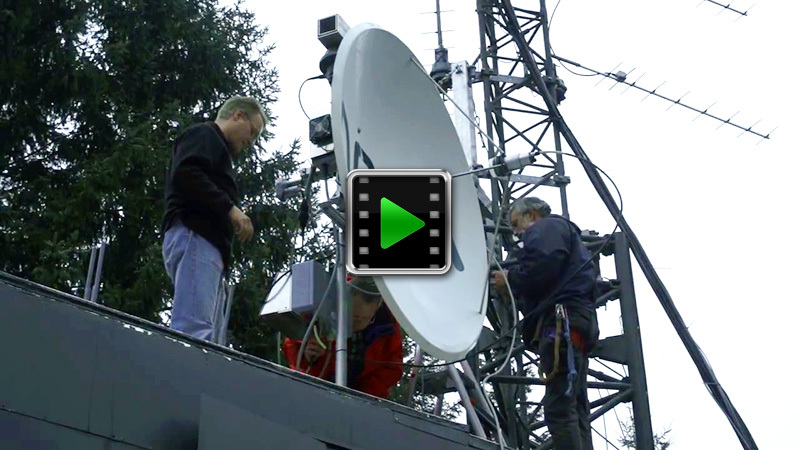 Alexander Schäfer and Martin DL5NAH made a nice video about the 2m contest at DR9A; it combines video footage from both antenna setup and operation with the original soundtrack of one of the two operators (DK8SG, in the background). 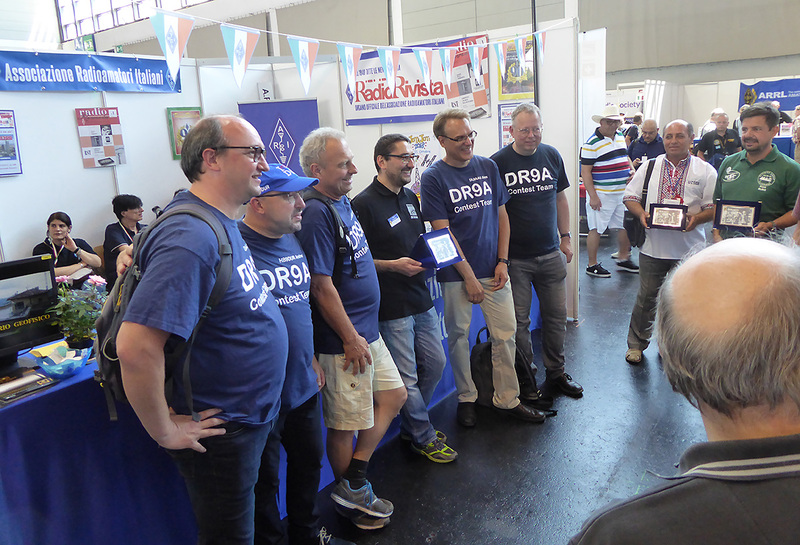 Martin, DL5NAH, the German VHF contest manager, hold the IARU VHF/UHF/SHF contest award ceremony. We were happy to be part of this event together with many successful fellow contesters from several European countries.